Enier participated in the Xth Volunteer Night by providing access to the scenery installing a lift. The act recognised the importance of the work done by volunteers and awards were given to the best projects. 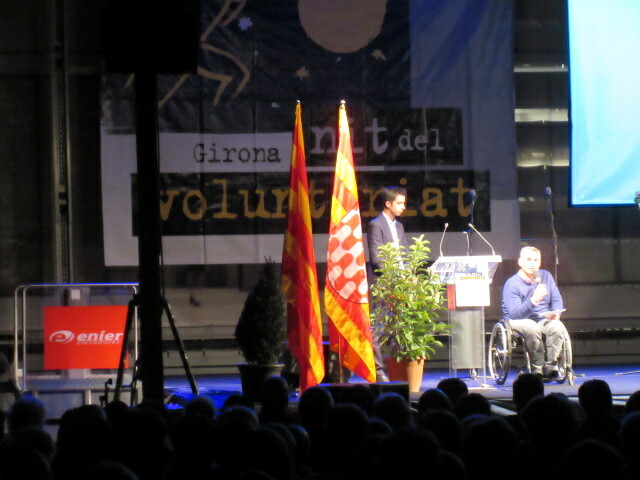 The event was presided by the Vice President of the Catalan Generalitat government, Neus Munté, the Lord Mayor of Girona, Carles Puigdemont, the Vice President of the Diputació Fermí Santamaría and the coordinator of the Catalan Federation of Social Volunteers, Maria Solés.